The variation in species-based information has been the most commonly used approach to quantify how biodiversity varies through space and time, omitting the different evolutionary histories of each species and the fact that communities are constituted of species with different ecological roles. Stream biodiversity patterns have been demonstrated to be related to local-, catchment-, and regional-scale variables, but it is still an open question how these different sets of variables affect different facets of biodiversity in streams ecosystems (i.e., traits and phylogeny). 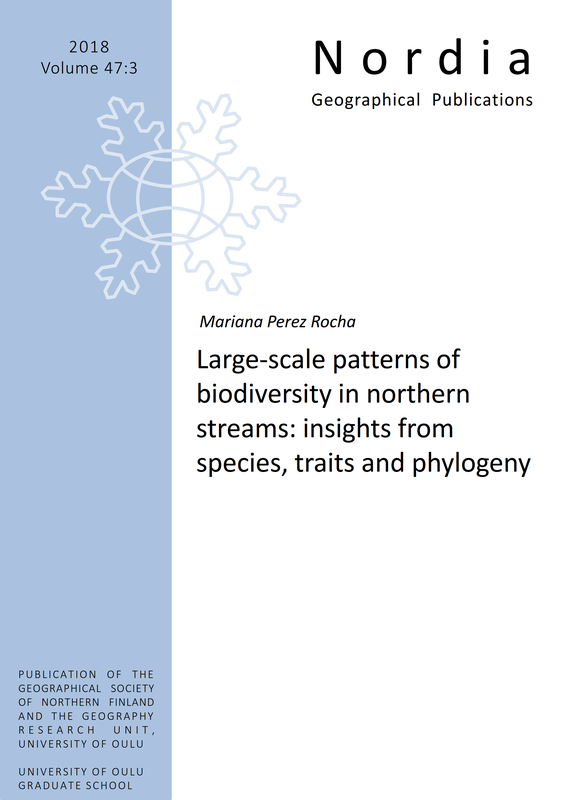 In this thesis, I investigated large-scale biodiversity patterns across northern streams by assessing the influence of different sets of variables (ranging from local habitat to large-scale geographical) underlying these patterns and through the investigation of different facets of biodiversity (i.e., species, traits and phylogenies).